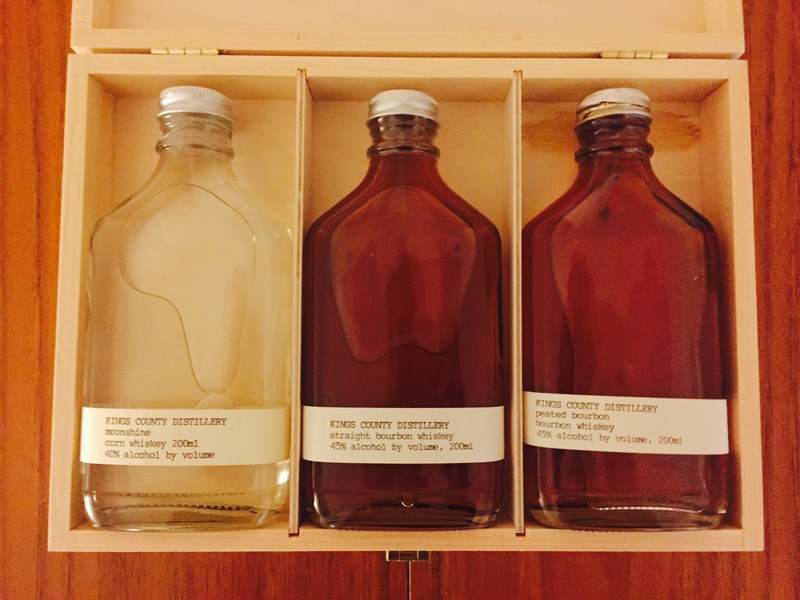 Last week, I filled you in on my visit to Kings County distillery in Brooklyn. But how do their whiskies taste? Well, here’s a rundown of the whiskies I sampled at the end of my tour, and we kick things off with something intensely American – Moonshine. Now, this a novelty. Kings County’s Moonshine is a corn whiskey made from 80% New York State organic corn and 20% UK grown malted barley, before being double distilled. And crucially, it doesn’t go anywhere near a cask. Unsurprisingly, the nose reminds me of new make spirit – very fresh and clean, although the “low” ABV of 40% means it doesn’t quite have the bite of new make. There’s a light sweetness, almost like white chocolate, with a burst of apple freshness too. The palate is extremely light, but the sweetness is still present and it certainly has a slight kick. A couple more percentage points on the ABV though and this could have been a cracker! This is the beating heart of Kings County. Made from the same combination of grains as the Moonshine, the bourbon is double distilled in pot stills and then aged in new charred oak barrels for at least two years. Interestingly, the guide on our tour highlighted how the climate in New York – which can go from -10 to +35 in a calendar year – has an impact on the maturation process as, during the cold months, the wood releases back into the cask the spirit which it absorbed during the hot months. Right from the off, there’s loads of corn on the nose, although it reminds me most of corn on the cob slathered in butter. There’s also a caramel sweetness and a touch of vanilla, whose sweet base comes bounding out on the palate. The caramel turns to toffee sweetness, with a slightly hint of cinnamon to finish So far, so bourbon and one I’ll be throwing in an old fashioned soon. Here’s where things really get interesting. The guys at Kings County obviously felt like taking us Scots on at our own game and have created a peated bourbon whisky, by using 20% peated barley in the production process. However, unlike Scotch whisky, this has been matured in new barrels. You could put a glass of this in-front of me and I’d be convinced it came from this side of the Atlantic. It’s warm and inviting, with a slight smoky edge to it. But, delving a little deeper, the bourbon sweetness starts to reveal itself. This feeling continues on the palate, which has the warmth of a lightly peated Scotch, whilst still allowing those bright bourbon flavours to shine through. Fantastic stuff! 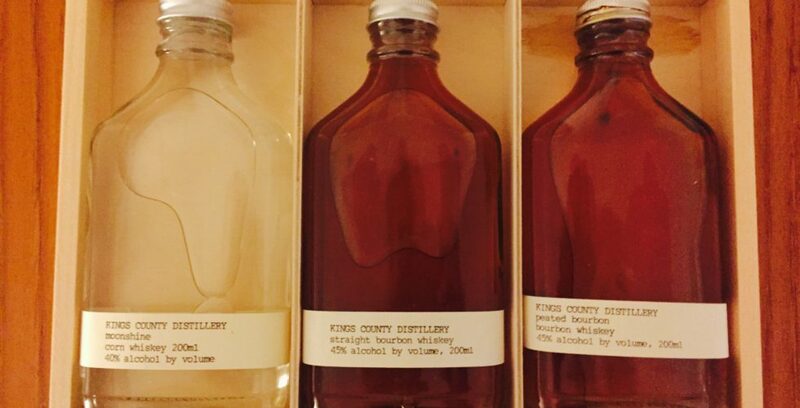 You can find out more about Kings County and its whiskies over on its website.